You save £10.00 that's 67% off! 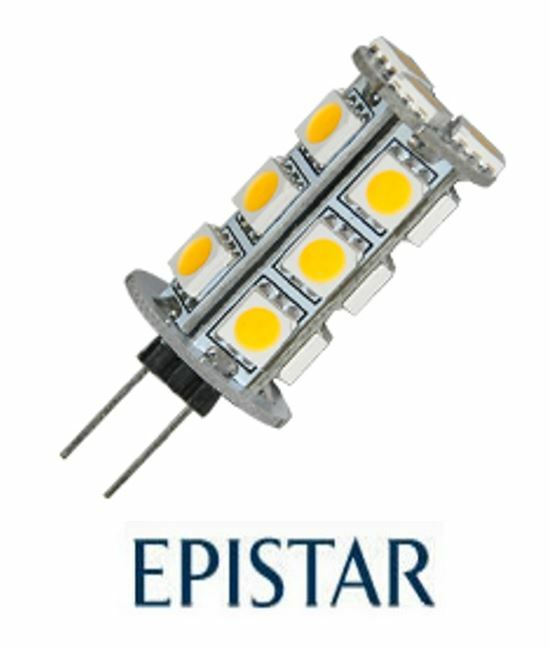 This 3W retro-fit 12V G4 LED bulb delivers a warm white light and brightness, similar to a 25 Watt halogen bulb. Ideal for living rooms, dining rooms and bedrooms, in classic or modern ceiling lamp fittings. 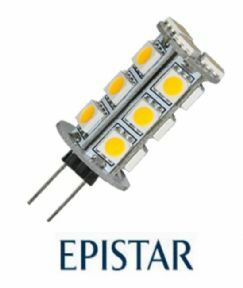 This LED product is manufactured from the latest LED technology and use the Epistar SMD led chips to ensure superior light output with a colour rendering index of over 80. Consuming only 3 watts this bulb also offers excellent energy savings of up to 85% when compared to halogen equivalent products. LED G4 lamps are designed with standard fittings to retrofit easily into existing G4 halogen lamp fittings. IMPORTANT Please note that these 12v LED lights need to run off a 12V DC LED Driver or Transformer. If your existing transformer is not compatible please visit our LED Drivers & Transformers.